Are you shooting to win, or are you shooting not to lose? I find it important to write about the experiences which have made me a better shooter and person. I can only hope some of my fellow shooters can find something to relate to and to take away. Recently, I was up against a wall with my shooting. 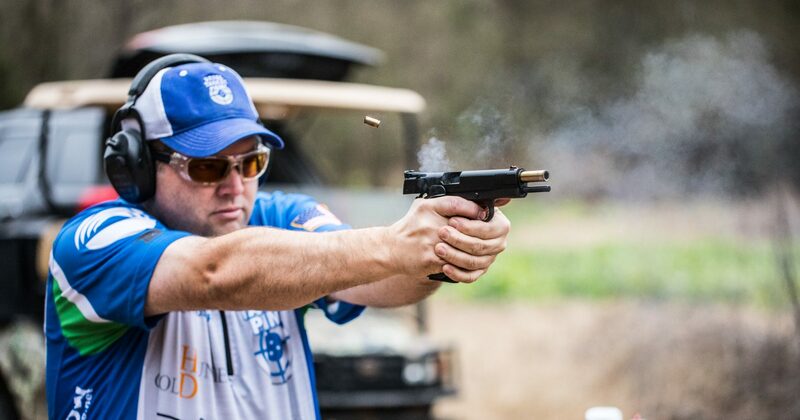 After one of my best shooting performances at the February GA State Steel match where I shot one, if not the, fastest times in the world with my PCC, breaking the 70 second barrier, I have not been shooting to my potential ever since. I was still shooting well by many standards, but not nearly as well as I could. I found myself being very conservative and over-thinking what I have done tens of thousands of times in the past 12 months: pulling the trigger. Fortunately, I have a great friend and mentor named John Nagel who shared impactful insight in a single question. I am not sure if he knew how profound I took his words. I walked him through what was going on, and he laughed. He said all top shooters go through what I was going through. He then asked me if I was shooting to win, or shooting not to lose? As soon as he completed his sentenced, I laughed out loud. He knew exactly from where I was coming. After reflecting on what John shared with me, I decided to go back to having fun and shoot in the subconscious, leading to faster times. I just came back from the 2017 GA State Steel Challenge Championships, and this is exactly what I did. I set two personal best times and shot a 2nd best time in a third division which enabled me to earn the title of Rifle Master and a nice cash payout for my efforts. It is not about being reckless; it is not about shooting a perfect match. It is about shooting to the “Edge” of where you can shoot and doing it as consistently as you can. Make sure you get your first shot on target and let the string be the best as the last! This is how you shoot to your potential. I hope this helps you as much as it helped me. Until next time, see you out on the range soon!